2players work together to pass the 4 games in different missions. During shooting, you'll see different weapons like guns, fire, grenade etc. shoot it then you can collect it and use. 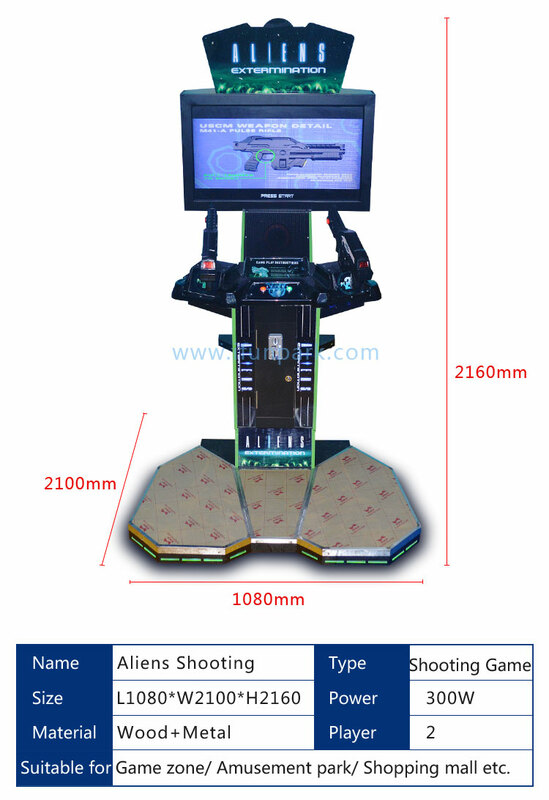 The game starts with a gun aiming at a monster shooter, a classic gun game machine can be fitted with a Stallone show, or an alien show program. 6. the Vietnam War game consoles strong narrative content, people will never be bored.